If you’re a good publisher, you already know all about the top modern traffic-building techniques; like advanced keyword research and optimizing titles to maximize your SERPs (search engine results page, if you’re not sure what that acronym means). It’s a key part of any traffic building strategy and can really help you get more and more people coming to your site and reading your content. So why would you do something old and stuffy like create a newsletter? Of course, getting people to your site, getting them to trust you, and delivering an excellent experience is a completely different story. Many publishers focus on new visitor flows at the cost of potentially damaging long-term relationships, or as us MBA types would say, ignoring that customer acquisition costs are almost always higher than customer retention costs. Below, I’ll highlight how you can create a newsletter that builds traffic to your website using your most loyal user base. I’ll show you why all the major brands are re-focusing their attention on this important category. Whether you have a rudimentary newsletter signup so you can then send new posts to people via email or have a more sophisticated email marketing strategy, it’s within your newsletter list’s inbox that you’ll be able to turn a visitor into a loyal follower far more effectively than on a Web page. Those that do this the best, use autoresponders that have a scheduled series of email messages seeking to turn a visitor into a relationship, messages timed to send immediately, a day later, a week later, even a month later. It’s all about the advertising dictum that it takes 5-7 “touches” to get someone to actually act upon what they’re seeing. Why not have those touches via email and completely automated? But, even if you don’t want to be that fancy, there are a number of email tools, from MailChimp (we wrote a blog here on how to do automation with MailChimp) to Constant Contact, that let you empower your visitors to add themselves to various mailing lists and then allows you to automate the composition process. For Ask Dave Taylor, I use a service called Feedblitz that actually assembles and emails out my weekly newsletter without any intervention. The newsletter then includes a teaser for each of my blog posts that week, along with any YouTube videos I’ve posted, and more. 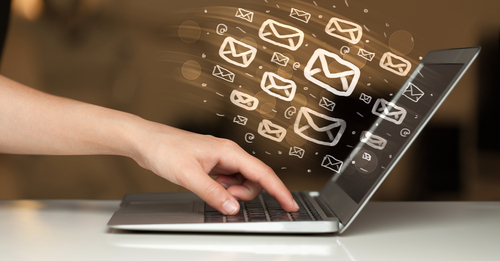 There are a ton of different companies offering email services too, not just these three mentioned. You can also check out Autopilot and Tout, along with Aweber. Heck, your Web hosting company probably has a rudimentary email service and JetPack includes a free email-your-latest-post feature you can just enable. Careful with the last one, though; you can’t add a custom intro or design, so while the JetPack publicity plugin is great for readers, it might not be great for you if you’re hoping to build a close, trusting relationship. Personally, I see my email newsletter as my “second chance” to engage with people who have already demonstrated their enthusiasm for my content by sharing their email address with me. It’s rare nowadays for people to be glued to a site and read everything published, so why not send out a gentle reminder or update to your biggest fans? How often should I e-mail people? This is probably one of the most common questions asked when publishers consider creating a newsletter. Nobody wants their newsletter to become spam. This arguably does the opposite of what you set out to try to do. The sort of industry starting point for a maximum is once a week, but there are a lot of caveats with this. The more segmented your list gets, the more frequently you can communicate with them. This means that if you currently only have one newsletter list, that you should consider how you could split it up into sub-segments. For example, maybe one sub-segment could be for recent subscribers. You could put them on an automated journey highlighting “best of ” content or something else previous subscribers may have already seen (and responded well to). What almost all industry research shows is that greater list segmentation leads to higher open rates, better click through rates, and fewer unsubscribes. I recommend using those metrics to drive a lot of your changes and adaptations. 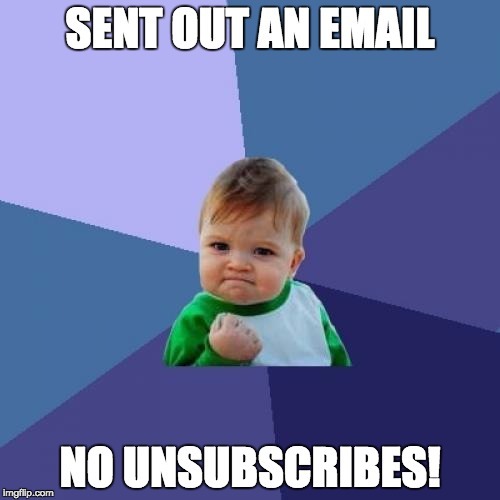 Unsubscribes are sort of like bounces on your website. It is the definitive bad experience metric. If you are getting a lot of these with your campaigns (should be less than 1-3% depending on your list size), consider adjusting your frequency — or better — segmenting your list further. Now go back to your inbox and have another look at what various sites are doing to reach out to you. Are they effective? Do you open and read their email? And how can you utilize this invaluable technique with your own readership and site visitors? Let’s keep the conversation going below. NextWhat Is A Good RPM or eCPM for My Website? think you could probably answer. I was wondering, Do freelance Web designers/developers tend to set their clients up with shared or dedicated hosting plans? I want to make sure their website is fast. 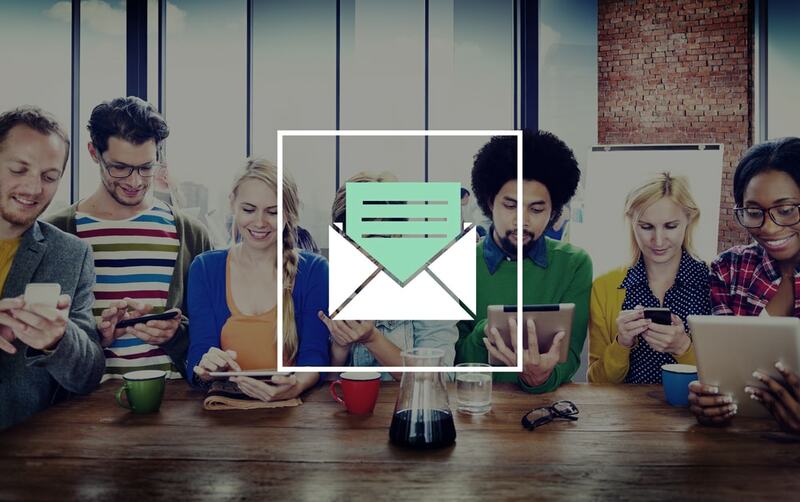 Creating a newsletter is a great way to get traffic. Use it to supplement other traffic sources, the best being getting traffic by ranking in Google searches.